The next few years will be epoch-making for the owners of Rani Plast. The company’s second change of generation is drawing closer, since the plan is to keep Rani Plast a family business long into the future. THE SIBLINGS who own Rani Plast are Ulrika and Mikael Ahlbäck. For them, the company is a lot more than just a job. They both grew up alongside the business, which their father Nils Ahlbäck (1928–2014) and three partners founded in 1955. Mikael and Ulrika started working at Rani Plast in the mid-1980s, which is when they also became its owners. This means that they will soon have worked in the company for 40 years. During that time, Rani Plast has multiplied its turnover and grown into a global group. What are their thoughts on the past years? “I don’t think we had very clearly defined expectations. We have had the opportunity to grow together with the company and, of course, we have a strong emotional attachment to it. The weeks, months and years have just rolled by and it’s actually quite bewildering to realise how quickly 35 years have passed,” says Ulrika. It’s nice to see that the children are interested in the company. BOTH ULRIKA AND MIKAEL hope that the company will continue as a family business in the future too. 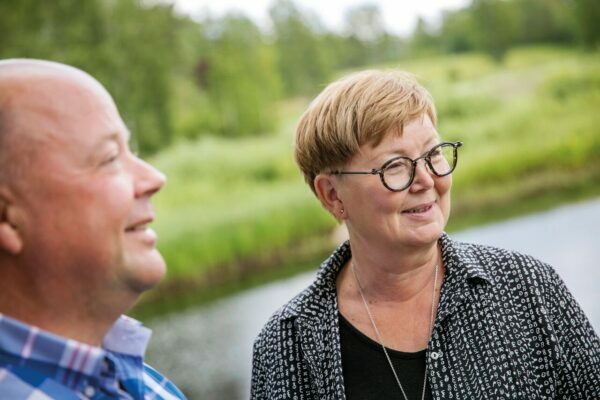 The present situation is reminiscent of the time 35 years ago when the first change of generation took place and Mikael and Ulrika became the owners of the company, because in all likelihood the second generational change is just around the corner. Mikael and Ulrika all in all have five children and there is clearly interest in the company among the younger generation. None of the children is working for the company full-time yet, but like their parents did before them, many of them have worked there for several summers while studying. Mikael Ahlbäck is owner and Group CEO of Rani Plast, whereas Ulrika Ahlbäck is owner and administrative director. “It’s nice to see that the children are interested in the company. It remains to be seen what roles each of them will take. Of course, we don’t expect all of them to work at Rani if they don’t want to,” Mikael and Ulrika say. Mikael and Ulrika themselves never felt any pressure to continue in the business and they in turn will not put pressure on the next generation to do so. When they were children, Mikael wanted to be a kindergarten teacher or chef, whereas Ulrika wanted to become an architect. As time went by, however, working at Rani Plast began to feel like a very natural alternative for both of them. 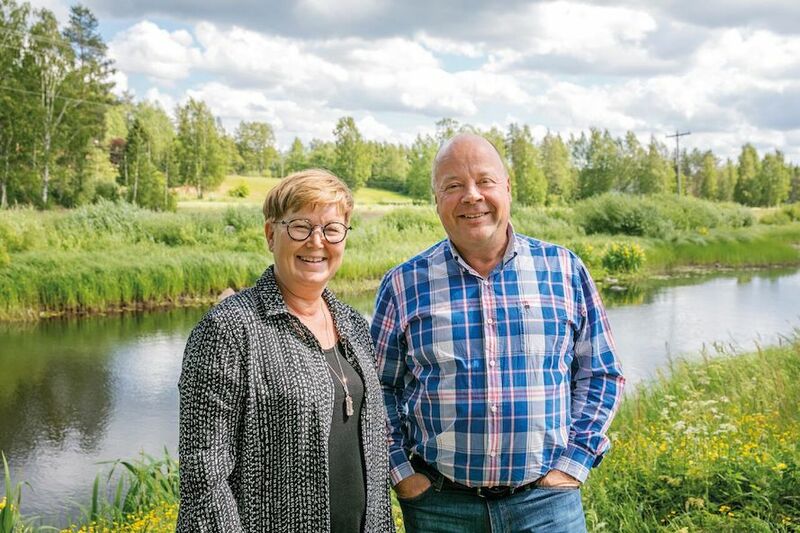 THE REASONS for Mikael and Ulrika’s wish for Rani Plast to remain a family business are rooted in their emotions, but both are convinced that the solution would be in the best interests of the company too. “A family business is able to make investments over a longer period in a more consistent way than a public company. The decision-making process is quick and straightforward, which is a huge advantage,” Mikael and Ulrika explain. For many customers and partners, collaboration with a family business has inherent value, because the rapid decision-making process brings a great deal of flexibility. This is why it has always been a trademark of Rani Plast to nurture the spirit of a small family business, even though the company is far from small today. THE NEW CHALLENGES facing Rani Plast today involve more than the next change of generation; future growth also has to be planned carefully. Mikael and Ulrika have inherited Nils Ahlbäck’s, the company founder’s, crystal clear idea of the necessity of continuous growth, as anything else would mark the beginning of the end. In the last few years, however, growth has become more and more difficult. In 2015, Mikael left his post as Rani Plast’s CEO to become the Group CEO. As well as two subsidiaries, the group includes two joint ventures abroad. “It’s not easy to relinquish responsibility when you’re used to being a part of every decision. But I decided to give up being the CEO to make room for others, and because the management of the Group takes a great deal of time. Some seem to think that I’ve taken a more passive role backstage while waiting for retirement, but the truth is that I’ve never worked this hard in my life,” he laughs.